Indoor/Outdoor Home & Garden Spray, Don't Bug Me® is a fast, effective solution for most common garden pests. Because its active ingredient is Pyrethrum, which is derived from chrysanthemum flowers, it can be applied up to the day of harvest on any fruit or vegetable. Don't Bug Me® kills aphids, whitefly, and other insects on contact by damaging their nervous systems, and even at lower levels it will keep pests away. 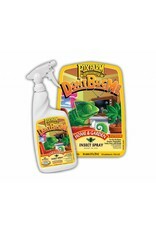 Best of all, Don't Bug Me® breaks down quickly and does not persist in the environment. 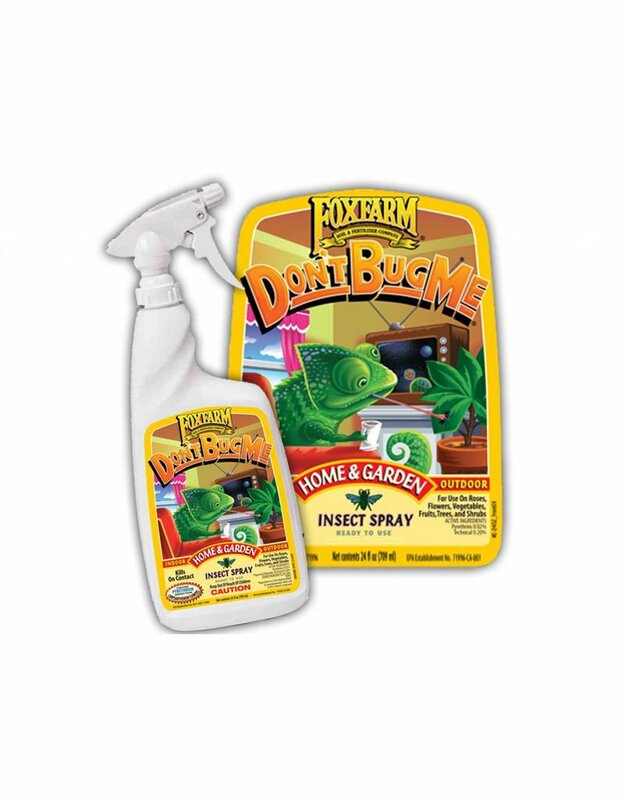 FoxFarm is proud to offer a safe, modern, natural insect spray that can be used indoors and out. Choose a time when wind will not direct the spray away from the plant, and avoid spraying in the heat of the day, when sunlight can cause the product to dissipate quickly.